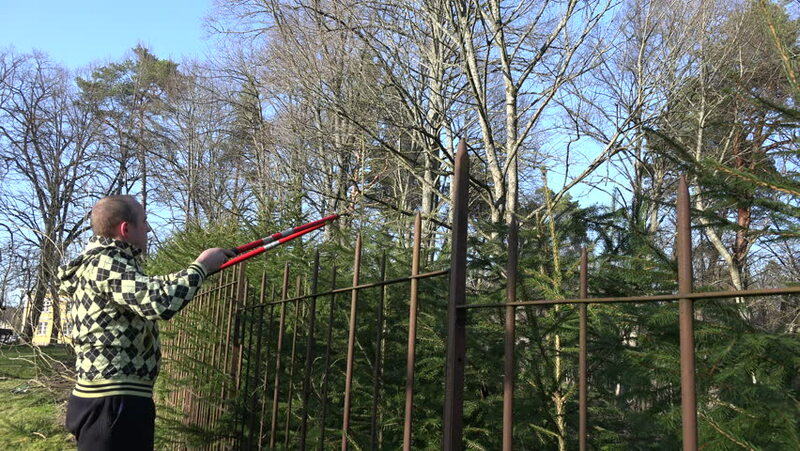 Male gardener man in yellow jacket cut hedge fence with two handle red clippers on blue sky and spring trees background. Spring season works in garden. Scene shot between trees. 4K UHD video clip. hd00:07Baba Yaga From Fairy Tale in the Forest. the Action in Slow Motion. hd00:29Autumn maple with a suspension bridge in the background.